This consists of an examination and testing, discussing the likelihood of maintaining the tooth and treatment options available to you. In some cases, the doctor may recommend a CBCT scan to assist in visualizing details of treatment and pulpal anatomy. This is NOT a covered benefit by dental insurance. The fee for a CBCT scan is $150. Our consultation fee is $138. The consultation fee will not be filed to insurance unless we are an in network provider. WE ARE ONLY IN NETWORK PROVIDERS FOR CIGNA PPO AND DELTA DENTAL PPO/PREMIER (WE ARE CONSIDERED OUT OF NETWORK WITH THE CIGNA PPO ADVANTAGE PLAN). Those without dental insurance: Payment is due in full at the time of service. Those with dental insurance: It is your responsibility to know your dental insurance policy. We will estimate the portion your insurance is going to pay. Since this varies for each individual, usually 20 – 80% of the cost of the procedure is required at the time of service. Insurance companies will only provide a percentage of coverage and will not tell us exactly what they will pay. Some insurance companies pay a set fee schedule, leaving you responsible for more than what we estimate. If your insurance company pays on a fee schedule, we may require you pay 50% of our fee. As a courtesy, we will bill your insurance for you and will accept assignment of benefits from your carrier. 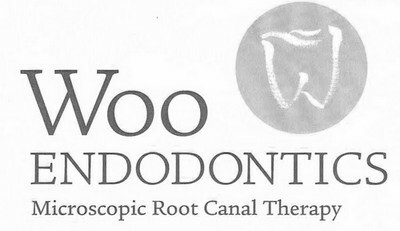 Please keep in mind, however, insurance companies routinely indicate that coverage verification does not guarantee payment, and by signing, you are submitting your request that your insurance company pays any monies directly to Woo Endodontics on your behalf. Your signature will be kept on file for all insurance submissions. %u25CFIf your insurance pays MORE than the estimated amount, we will refund the difference back to the original method of payment. %u25CFIf your insurance pays LESS than the estimated amount, you will receive a statement from this office notifying you of the amount due. Prompt attention is greatly appreciated! I request and authorize my dental insurance company to pay the dentist directly all insurance benefits for services rendered and assume financial responsibility. I acknowledge that all non-current balances on accounts over sixty days will be sent to a collections agency.